The FAA announced that has passed the 1,000 mark for 333 Exemptions that have been granted. AUVSI has also issued a report on the first 500 exemptions granted by the FAA. It is a great read for anyone interested in civil UAS, but particularly those who are thinking of applying for an exemption. It details the industries, uses, and locations of companies who have received an exemption. In Great Britain, the Coastal and Intertidal Zone Archaeological Network (CITiZAN) is using UAS to survey England’s 5,600 miles of coastline and erosion document damage to archaeological sites. May sites, from WWII “pillboxes” to Roman buildings, are at risk due to tidal erosion and winter storms. CITiZAN is funded by a number of entities and their website includes an interactive map of sites. Another target of the survey is the Hans Egede, a 20th century Danish grain ship which suffered a fire at sea. It sank in the 1960’s while under tow and beached off of Cliffe. 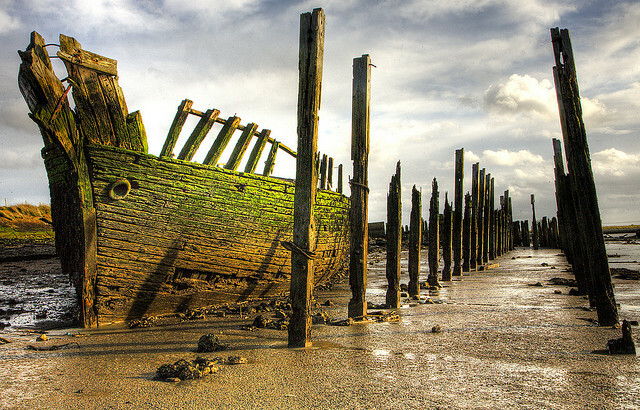 Unfortunately, winter storms in 2013 caused additional damage to the shipwreck. In news relating to those who oppose the use of UAS, a Kentucky man was arrested after shooting a drone out of the sky. He claims the drone was over his backyard where he had an expectation of privacy and spying on his sunbathing daughter. He was arrested on firearms related charges and might see a civil suit for the damage to the UAS. In California, a small claims court awarded the owner of a home-built hexcopter UAS $850 after it was shot down by a private citizen. This isn’t to say that the shooter will always be in the wrong, and the FAA hasn’t prosecuted anyone for federal crimes relating to shooting at aircraft. The law is still unsettled and varies by state – only time will tell what will happen. Invasion of privacy and trespass are particularly unsettled when it comes to UAS using airspace above private property. I’ve written about insurance for drones and spoke about it this past spring. An article entitled “Recreational Drones: Do Homeowners’ Insurance Policies Provide Coverage?” by Tom Schrimpf and Russ Klingaman of the law firm Hinshaw & Culbertson LLP, analyzes homeowners’ applicability to UAS. It is important to remember that this is general analysis and one must consult their policy to determine the scope of coverage. It is even more important to remember that commercial use of the UAS will almost certainly exclude you from coverage. I often remind clients that an important, but often overlooked, benefit is that the insurance company will often provide you with an attorney to defend against a claim. Again, your policy will discuss this potential benefit. Lockheed Marin has launched the first portion of its UAS traffic management system. Lockheed is working with NASA and its Unmanned Aerial System (UAS) Traffic Management (UTM) program to develop further tools, and the goal is to increase communication between manned pilots and UAS operators. One can access the site at https://www.1800wxbrief.com/afss/#!/. This announcement couldn’t come at a better time, as news sources are reporting that the Department of Homeland Security has issued an intelligence assessment to law enforcement stating that terrorists are using UAS in increasing numbers overseas and that they could be used as a potential weapon domestically. Dr. Gregory McNeal took a different tack because he believes that payload limitations and lack of stealthiness tend against the use of UAS. Also, there were three recent alleged UAS sightings by pilots near New York’s JFK International Airport last weekend. 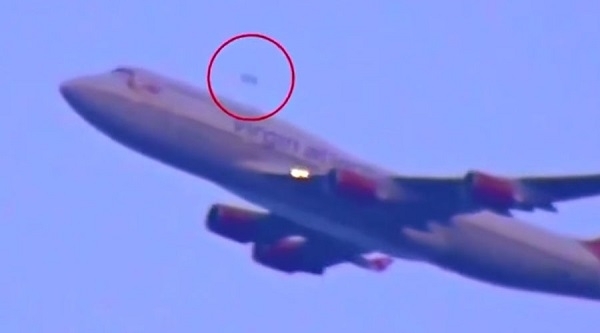 This is only weeks after an unidentified object, presumed by many to be a UAS, was caught on video near a Virgin Atlantic Boeing 747. I’m curious as to the true nature of this particular object since it appears to be overtaking a Boeing 747 in the video, which is going to be travelling at well over 100 knots. Also, I caution against immediately presuming these are drones. Just a reminder to all that airspace within 5 miles of airports is restricted and one shouldn’t be flying in that area without explicit authorization (see for example this post – skip to the part about the Philadelphia Philles). I realize there is a debate as to whether UAS are “aircraft,” but I usually take the conservative approach.